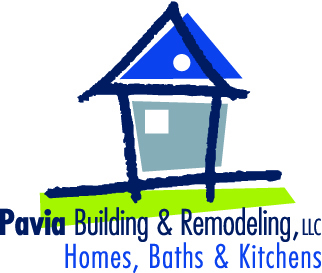 We offer Crown Molding installation, wainscoting installation, ceiling tile installation, window and door casing installation, coffered ceiling installation, custom fireplace mantels, baseboard installation and removal, for your home or business. 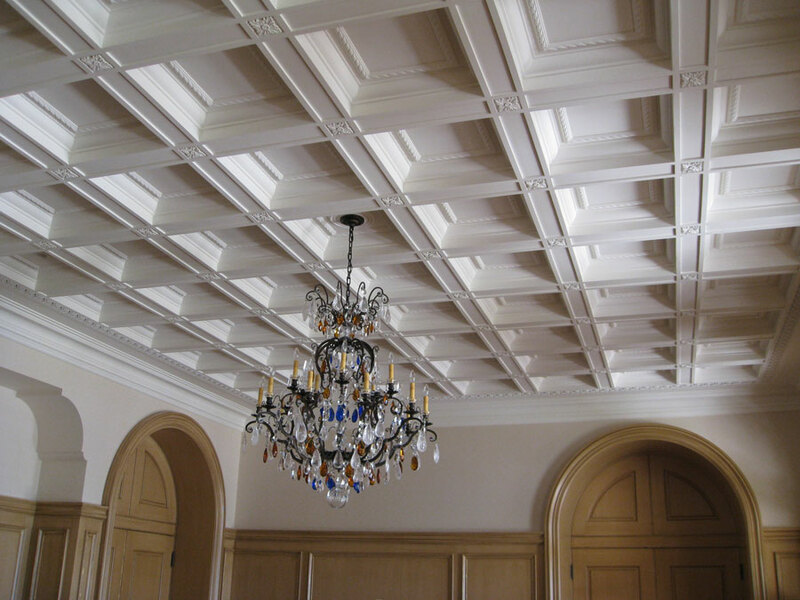 The simple truth is that moldings add warmth and character to a home; they provide a sense of comfort and ‘order’ to a home. 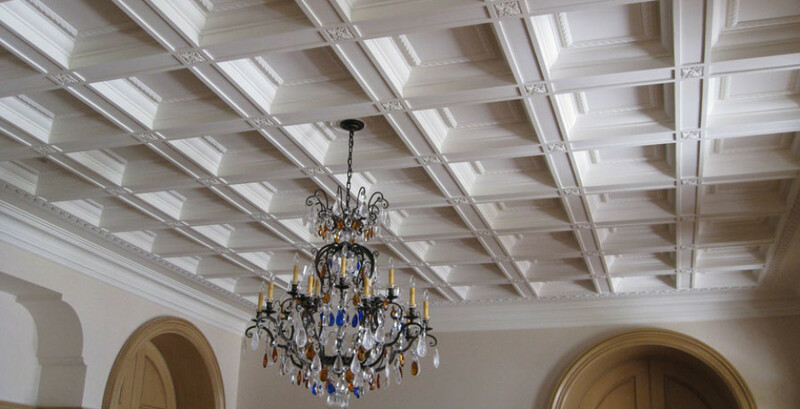 In fact, all of the moldings that finish carpenters install owe their origin to the Classical Orders. What’s an order? An order is nothing more than a post and a beam, like a patio cover supported by a 6×6 post and a 6×12 beam; or a header and the studs that support it. The Classical Orders are nothing more than posts and beams designed a few thousand years ago by the Greeks (with some Egyptian influence), then borrowed and modified by the Romans. 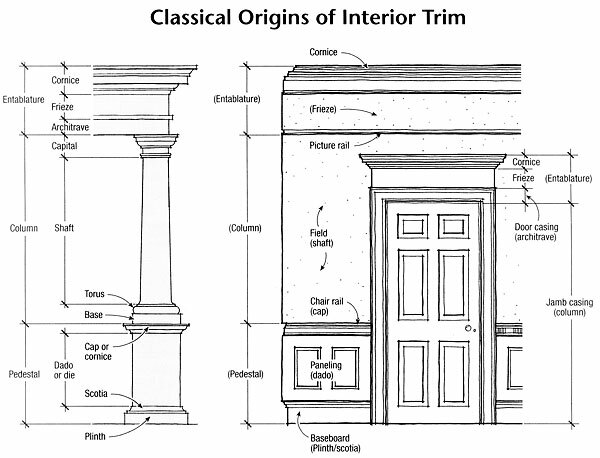 Wainscoting comes from the tall almost waist-high pedestal found on some columns, called a dado; casing comes from architrave molding—the first element found on the bottom of an entablature, just above the capital on a column; and crown molding comes from the cornice on a classical order. All of these moldings were used abundantly for centuries, right through the Victorian period and up into the early 1900s. (Illustration courtesy of JLC Books: Finish Carpentry, by Gary Katz).